Board member Barbara Barry explains solar energy options. 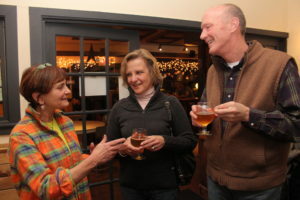 Every month people from the all over the Upper Valley get together for informal social and educational sessions known as Green Drinks. We have a lively mixture of individuals, businesses, politicians, non-profits, and municipal leaders. Everyone is welcome join in on the conversation and we will look after you and introduce you to whoever to other folks in the community. It’s a great way of catching up with people you know and also for making new contacts. Everyone invites someone else along, so there’s always a different crowd, making Green Drinks an organic, self-organizing network. Solarize program coordinator Zach Ralph speaking at Green Drinks event in 2014. 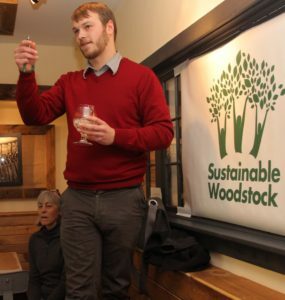 In Woodstock Green Drinks is sponsored by Sustainable Woodstock and has been going on every month Since 2014. We invite local non-profits, businesses and individuals to make a short presentation that highlights their sustainability and “Green” initiatives in our area. Our hope is to foster an open and fun atmosphere which is welcoming to everyone that wants to join in. We work to engage people in new initiatives and empower them to get involved and take action in our communities. Green Drinks is a platform to meet new people, explore new opportunities, and enjoy complimentary eats from local restaurants. If you haven’t attended Green Drinks yet they take place every 3rd Thursday of every Month. They are free and open to everyone. We work to keep the conversation around building a sustainable community alive at these events. In Woodstock, we hold Green Drinks gatherings at the Worthy Kitchen, on Rt. 4 east of the village, or in other locations depending on the topic. 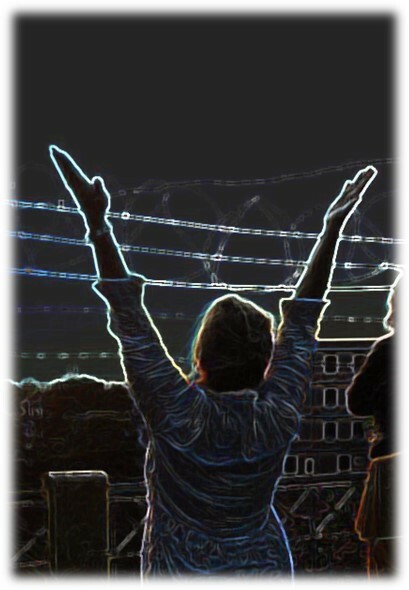 –A Green Drinks participant in New York City. 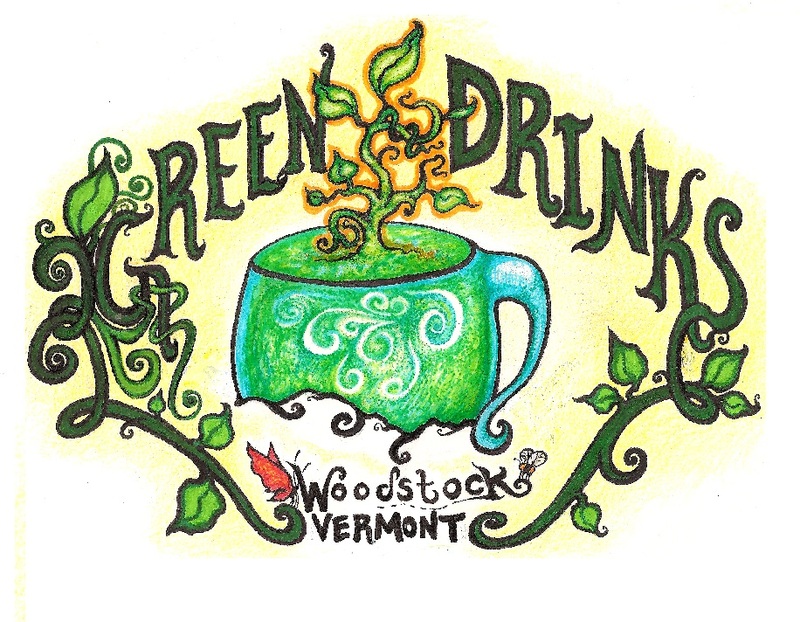 Description: Join Sustainable Woodstock for our first Green Drinks social event of 2019! 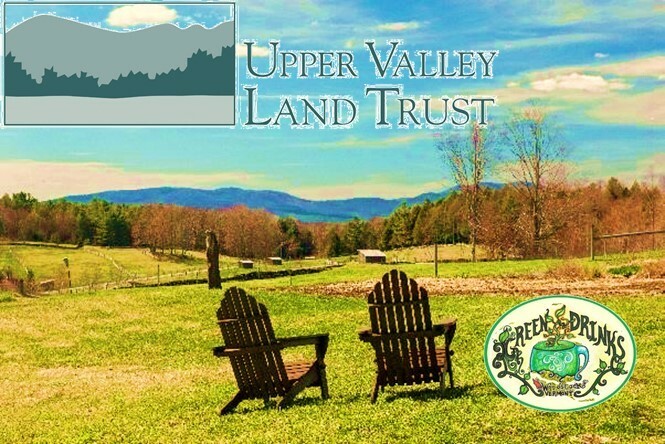 Alison Marchione, Programs Director for the Upper Valley Land Trust will be presenting on UVLT’s history and mission of land conservation in the Upper Valley with a call to action for folks interested in joining a dynamic group of volunteers. UVLT is a non-profit, regional land conservancy working in 45 Vermont and New Hampshire towns along the Connecticut River Valley. For the past 33 years UVLT has worked to protect the vulnerable places in our valley – farms and forests, rivers and wetlands, recreational areas and community land marks. This presentation will touch on both the work that UVLT has done, our plans for the future, and why land conservation is important for all of us in our changing world. Come for a great discussion, delicious food, and even better company! Description: Tiny Vermont is capable of having global impacts. One South Royalton based non-profit, BALE (Building A Local Economy), serves as a community resource center for local economy initiatives in the White River Valley of Vermont. 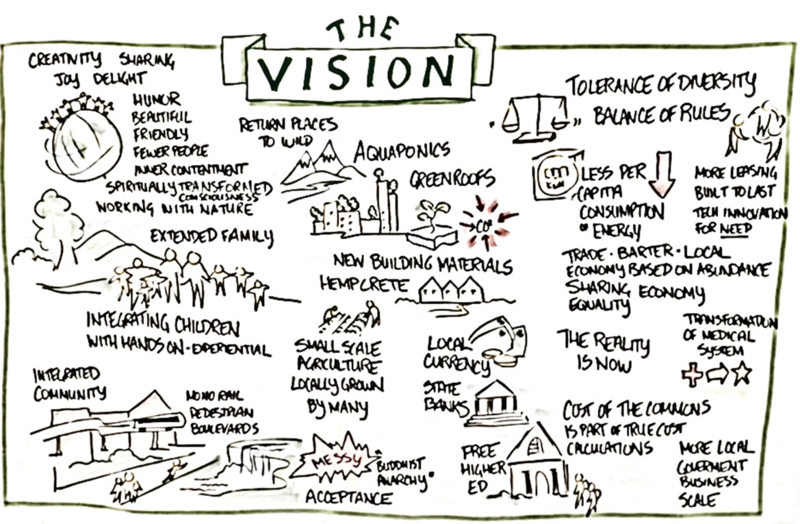 Their vision is to build a sustainable culture that can foster the economic and ecological capacity that allow our communities to thrive. The Community Resource Center, “Building Resilient Communities and Why Build A Local Economy” workshop series, and local investment initiatives are just a few of the ways that BALE is exploring innovative, whole systems approaches to addressing societal and communal challenges. Description: Through their Home Repair and Weatherization programs, COVER builds community and fosters hope through cooperation and fellowship among all home repair and reuse participants. From 2014 to 2017 COVER completed 22 home repair projects and spent over $8,000 per year in Woodstock. COVER staff and volunteers have been providing a critical service to the Upper Valley since their creation in 1998. Join us for a discussion with the Executive Director, and learn about ways to help weatherize and repair homes in the Upper Valley. 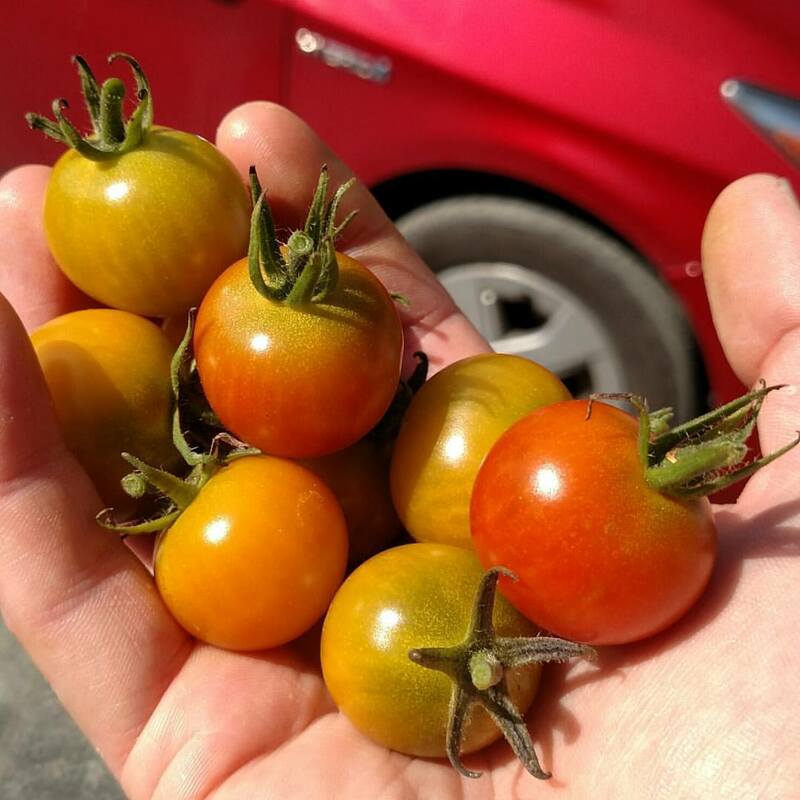 Description: Interested in becoming an organic vegetable gardener? Join us at Billings Farm community garden to learn how to grow your own food at home or on a community garden plot. We’ll discuss the numerous benefits of gardening and the particulars of how to get started. You will also learn tips on growing a lot of food on a little land and how to turn your lawn into an edible landscape!